Discussion in 'General Discussion' started by MWTaylor, Feb 22, 2017. Today we release our Early Access Development Update which covers what to expect in our next patch and our progress on our Early Access Road Map. Thug Life, leth1337, Super Star and 17 others like this. Good read. Respawn scaling is good and very interested in hearing you guys going through a massive overhaul of the economy. Sounds like alot of portal networks but looking at those pictures figure maybe some locations will have 2 1 way exits to 2 different location. Think one main aspect which I wouldn't be surprised if you guys already covered it is ensuring new players go through getting the mats to make gear bags aswell as piecing together gear bags with what they loot and explaining different types of sets that appeal to different styles including the encumbrance implications that would apply to certain builds, with actual number difference comparisons in offenses and defenses, like how much points u lose on skills/whitehits and how much hp you save from certain attacks to get a better display of trade offs. Bloodscar and Fengor like this. Nice read, keep pounding out that code! leth1337, Bloodscar and Fengor like this. Keflon, Bonii, TyteDaddyTite and 2 others like this. Atta boys. Keep up the good work. TyteDaddyTite and Bloodscar like this. Wes Furtive and Fengor like this. Oresmacker, Inkarnation, Nightmare UDL and 11 others like this. Everything looks great and I am very happy with the direction you guys are currently taking. A+. Wes Furtive, Fengor, Metalkon and 1 other person like this. Andrew, NonFactor, Fengor and 1 other person like this. Load screen player tip should be. "Players who remain positive have a 33% less chance of turning out to be Non-Factor". Fengor, Owyn Magnus, Sero and 2 others like this. Looks like BPG is just stealing resources from club penguin. As you can see the staff clearly lines up. Rath TNT, Oresmacker, Keflon and 20 others like this. "We will be focusing on some of the combat updates that we want to work on after the game launches, and part of that will tie into the professions of Armorsmithing, Tailoring and Shieldcrafting." Sounds like armors/encumbrance may tie in to the new specialization format? I don't think so, i think what he meant is that combat is directly related to armorsmithing/shield crafting/tailoring so if we change those or add new armors the balance/meta will be changed, so i believe the plan is to do combat related patches touching on spells/armor/general balances and such at a later date. Four new portal entrance locations revealed (technically 8). Fengor and TyteDaddyTite like this. You caught us. 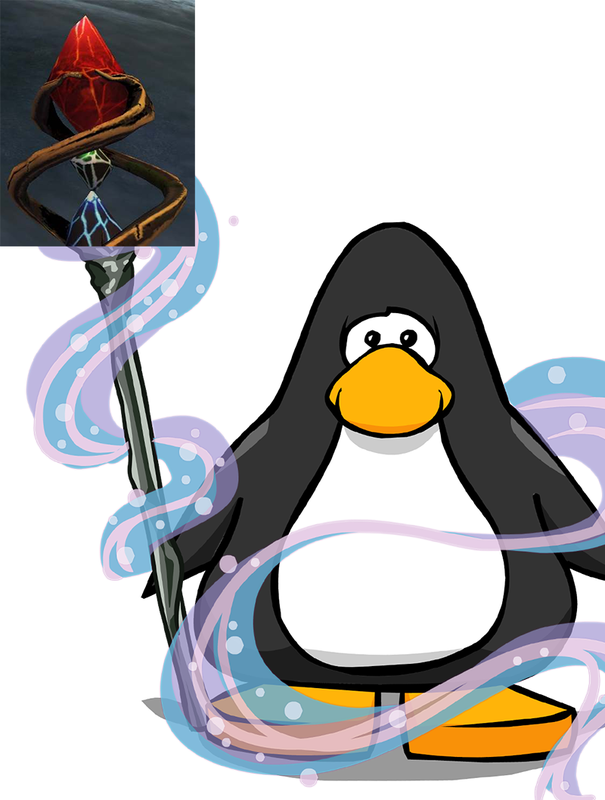 New penguin race confirmed. Rath TNT, AlexTheFiend, Fengor and 10 others like this. So, you are adding a "horde mode". Interesting, I hope it works out. I'm usually not one to complain about graphics, but that vendor booth looks like a rickety junk pile, with rusty crap for sale. Any chance I can ask the artist to jazz it up a little? Maybe add some bright colors and attractive items. Also, it would be helpful if the number of items on the shelves somewhat reflected the number of items for sale. At a glance, you might be able to spot booths that are nearly sold out versus ones that are stocked heavy with stuff. I hope that bulletin board idea is still in the works, where you can get a listing of specific vendor booths that sell what you want to buy. Browsing 100+ booths, for example, to find that one resource or item would be a real time waster. miasMa and Sero like this. I'd love to see you incorporate those into story lines so you add those in with the lore for it going in at the same time. With loot tables that are specific to that story line/event. Absolute story telling gold right there, recipe for success! My fav was The Blazing Staff of Branith. Man didn't I have some some pre pubescent nerdgasms over that rumor haha. Its the story telling I guess giving just enough to set your imagination running while not really telling you too much. The lore and story and the actual finding of the item were all that mattered. Hell the first iteration of it didn't even have any flames it was just a POS ordinary staff just named. But it didn't matter, cause its about the lore and the adventure. It was always my dream to get this type of story telling into DF. Circa and Wes Furtive like this. Why do i keep doubting you bastards? I'll be playing during marketing campaign to boost pop for new comers. I'll see if i can drag some SB. Can't wait for economy revamp. Also, it would be helpful if the number of items on the shelves somewhat reflected the number of items for sale. At a glance, you might be able to spot booths that are nearly sold out versus ones that are stocked heavy with stuff. Myater and Wes Furtive like this.